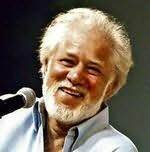 Philip Michael Ondaatje, OC, is a Sri Lankan Canadian novelist and poet, perhaps best known for his Booker Prize winning novel adapted into an Academy-Award-winning film, The English Patient. Although he is best known as a novelist, Ondaatje's work also encompasses memoir, poetry, and film. His semi-fictional memoir of his Sri Lankan childhood is called Running in the Family (1982). He has published thirteen books of poetry, and won the Governor General's Award for two of them: The Collected Works of Billy the Kid (1970) and There's a Trick With a Knife I'm Learning to Do: Poems 1973-1978 (1979). The Collected Works of Billy the Kid and Coming Through Slaughter have been adapted for the stage and produced in numerous theatrical productions across North America. Ondaatje's three films include a documentary on fellow poet bp nichol, Sons of Captain Poetry, and The Clinton Special: A Film About The Farm Show, which chronicles a collaborative theatre experience led in 1971 by Paul Thompson of Theatre Passe Muraille. In 2002 he published a non-fiction book, The Conversations: Walter Murch and the Art of Editing Film, which won special recognition at the 2003 American Cinema Editors Awards, as well as a Kraszna-Krausz Book Award for best book of the year on the moving image. "This is one of the great books of our age. It is the subtlest of miniatures that contains are deepest sorrows and truths and love - all caught in a clear, simple style in perfect brushstrokes." "Mavis Gallant is one of the great short story writers of our time." "A deeply moving, powerful, and unforgettable book." "Birdsell is one of our best writers - no compromises, no hesitance, a full canvas." "We are in the dark side of the brain--full of grief and deliciously strange comedy. I've never read anything like it." "I trust his portrait of America more than any other." "Githa Hariharan's fiction is wonderful - full of subtleties and humour and tenderness." "Murray Bail is the warmest and most quick-witted of storytellers." "[A writer] whose works transcend their chosen genre to become thrilling and moral literature."